Product Description Swirling Escher. 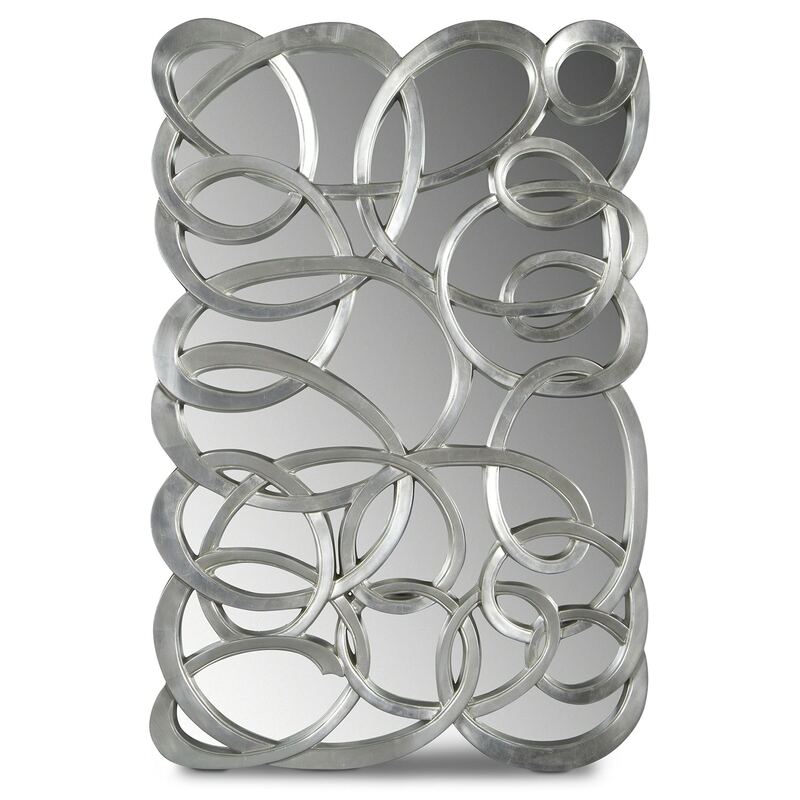 Silver swirls come to life in the artistic Swirl Circles accent piece, wrapping themselves around the mirror beneath. The interplay of semi-reflective and purely reflective materials makes this piece seem like an Escher print. Unique Features: D-hooks allow the mirror to hang horizontally or vertically for added versatility. Works as a focal piece or decorative addition to large spaces. Construction: Hand-painted wood frame construction ensures strength and durability. I only need to see this once. In my home! 1This this mirrormakes a big statement! 1Looks like the paint color will not last. This mirror is beautiful!! It's a perfect fit for modern or tradition rooms. I love it!! This mirror is definitely an attention getter! We have received so many compliments on it. It modern and so pretty. 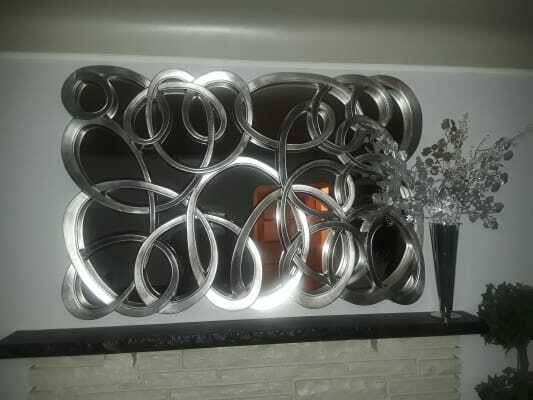 I LOVE THE LOOK OF MY NEW MIRROR, I PLACED IT OVER THE FIREPLACE. WOW! Looks like the paint color will not last. This this mirrormakes a big statement!